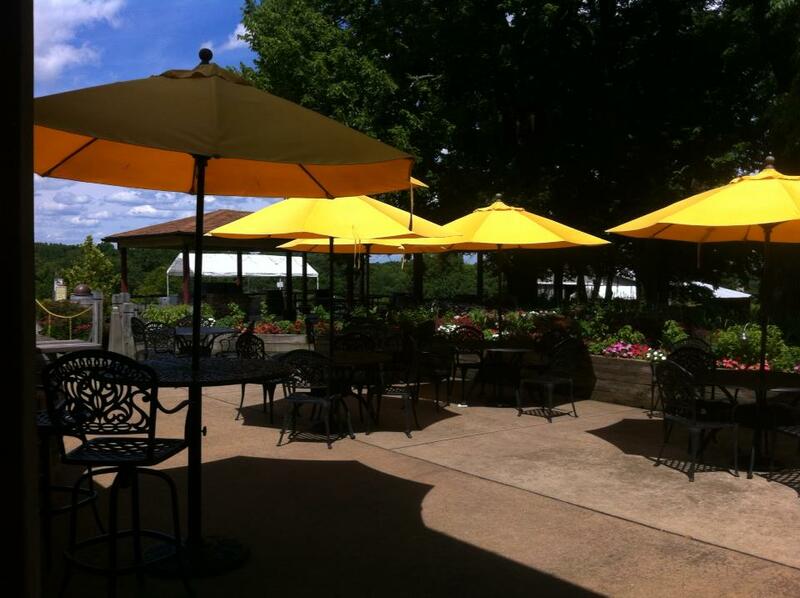 WineFan at Chrysalis Vineyards | FTLapps, Inc. Chances are, if you visit a number of wineries in the state of Virginia, you’ve had the chance to try Norton. Norton is very interesting because not only is it a grape with natural purple juice (other red wines get their color from the skin of the grape, not the juice) but it was also first cultivated in Richmond, Virginia in the early nineteenth century. Due to its origin, it has been dubbed “America’s True Grape” — not to be confused with Zinfandel as such because it is not originally from America. For those who have tried copious amounts of Norton in Virginia, there’s a good chance you’ve had Norton that was cultivated at Chrysalis Vineyards. With over 70 acres of vines, much of that land is dedicated to growing this wonderful grape. It produces a deep, dark purple color, smooth tannins, and can be paired with or without food. If purple had a flavor, Norton would be it! Chrysalis is genuinely proud of their efforts to demonstrate the quality of the Norton varietal; they use it in many of the wines they currently offer. Their flagship wine is their Chrysalis Vineyards Norton-Locksley Reserve. For those of you who prefer white wines, Chrysalis has not neglected you. In addition to two different styles of Chardonnay (unoaked and oaked), as well as a Viognier, they offer Spain’s Albariño varietal. Albariño is a dry, crisp white that pairs magnificently with seafood. During the week, tastings take place inside the tasting room. On the weekends, the vineyard sends you outside in groups to a table that provides tastings. They have plenty of outside tasting locations to keep the tastings moving along without dilemma. Whether you taste inside or out, the staff is at the top of their game and will teach even the most seasoned wine fan a thing or two. The vineyards staff always provides a great story to go along with the wine you are tasting as well. The outdoor area is extensive and provides plenty of seating, corn hole, a family area for kids, and even a grill that allows guests to bring their own food and grill out so long as it is done prior to 4 pm. Whether you are a wine enthusiast or someone just getting your feet wet in the wonderful world of wine, Chrysalis Vineyards provides a phenomenal experience for everyone to enjoy. Notes exported from our WineFan app follow. Cheers! Dry wine with citrus notes. Crisp and tart. Stainless steel fermention. Crisp mineral flavors with a hint of apple. Oak fermented. Smooth well balanced Chardonnay. Crisp, light. Peach and floral notes. Fruity nose, dry on the palette. Red fruit flavors. Semi sweet white with pineapple notes. Crisp and great for a porch party. Semi-sweet red. Red fruit flavors. Served chilled. Dark fruit flavors. Plum and blackberry notes. Low tannins. High tannin structure. Jammy and spicy. Great with grilled meats. Fruit forward wine with pepper characteristics. Will age well over time. Dark fruit, peppery flavors. Big wine that will go well with food. To collect and share your own wine ratings, get WineFan Pro for your iPad or iPhone. Copyright 2012-2018 FTLapps, Inc. All Rights Reserved.